I’d been craving superhero romances, so after I read two of them recently, I decided to get tag-happy! Below are my impressionistic tags of HEROES WITHOUT, MONSTERS WITHIN by Sheryl Nantus and PHOENIX RISING by Corrina Lawson. Despite falling into the same superhuman category, the two books are very different. Following each story blurb are my tags (non-spoilers except for one, which I flagged). Your mileage may vary, but I hope the information helps you in your science fiction romance reading journey. In the weeks since Jo “Surf” Tanis and her rough-and-tumble band of super-powered actors broke free of the government-sponsored superhero show, they’re all still dealing with the aftershock of adjusting to this thing called reality. It doesn’t get much more real than a mission to dig survivors out of what’s left of Erie, PA, after a mysterious earthquake. A trembler that powerful is as out of place as Jo feels as the de-facto leader of the troupe. Not to mention the soul-shaking feelings she has for Hunter, a team member whose past as an Agency Guardian casts a heavy shadow over any possible relationship. It seems one of the supers, an earth-warper named Ground Pounder, has gone rogue, using his freedom from the Agency’s brand of virtual slavery to put the “villain” back in supervillain. Failure to find him before any more innocent bystanders are hurt means the team could be back under the Agency’s thumb. It’s a burden that doesn’t rest easy on Jo’s shoulders...especially when the man who’s invaded her heart is caught in the crossfire. 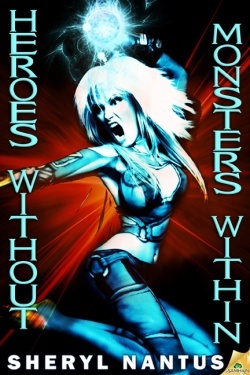 HEROES WITHOUT, MONSTERS WITHIN is book two of the author’s Blaze of Glory series, which began with—wait for it—BLAZE OF GLORY. In the first book, readers learn about Jo Tanis’s superhero origins and the development of her superhero league, The Protectors. I strongly recommend that you begin this series with BLAZE OF GLORY. Still, many of the tags below apply to both books. Genre category: Urban fantasy with romantic elements; superhuman romantic SF; contemporary time period. Romance: The romance subplot continues from its inception in BLAZE OF GLORY and focuses on same couple, Jo and Hunter. Jo has a lot of angst over [BLAZE OF GLORY SPOILER ALERT] the death of her former lover, and there’s frequent introspection as she a) tries to come to terms with the loss [END SPOILER ALERT] and b) navigates her burgeoning feelings of affection for her Guardian, Hunter. Heroine or Hero? While both the hero and the heroine have superpowers, the emphasis is on the heroine’s journey. Jo is of the “reluctant hero” variety. Superhero action sequences: There are several of them. The story is not wall-to-wall action. Instead, the action scenes are interwoven among practical needs such as eating (Jo needs to eat a lot to fuel her power, so prepare for some stomach rumbling of your own as you read this), strategizing, team bonding, the romance, and the mystery of a new villain. In that sense, this story is grounded in a certain level of realism. Worldbuilding: My general sense is that people develop superhero powers as a result of trauma, an accident, or a life-changing event. The basic premise introduced in the first book is that a government arm known as the “Agency” enslaved superheroes and pitted them against each other in mock gladiator style battles. These battles are televised as entertainment; therefore, the general population knows about the “supers.” During the show, some people were cast as superheroes and others as villains. Still others become Guardians whose job is to train and guide the super in their care. The books chronicle Jo’s ongoing rebellion against the Agency. Also, one of the threads in HEROES WITHOUT, MONSTERS WITHIN focuses on Jo’s public relations challenges. In other words, supers are a part of everyday life in this world. How much value the general population places on them remains to be seen and is a source of stress and conflict. Additionally, the story features some geekerific technology. Going into PHOENIX RISING I kept thinking of the film FIRESTARTER (1984) starring Drew Barrymore. I remember not caring much for that film despite the intriguing nature of her character. Even so, I still like the idea of a character with fire powers and in that sense, PHOENIX RISING delivers much better. The scenes of Alec using his powers are visually engaging and frequent so you get a real sense of the consequences he has to deal with on a daily basis. Beth’s psychic powers are on the generic side; however they do end up playing a significant role later in the story. In that sense, Alec and Beth are greater than the sum of their parts. Cast: The core characters are Beth, Alec, their fathers, and Alec’s military team. The terrorist villains are pretty clearly drawn as muhwahaha evil, but other characters have more shades of gray. 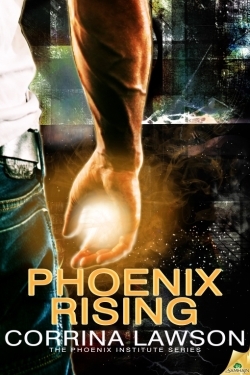 Romance: PHOENIX RISING focuses on the romance between Alec and Beth. I would put the romance to external plot ratio at about 50:50 (with an edge to the romance). The author has contracted a second story in the series with Samhain, and LUMINOUS (May 2012) will feature a new couple. Heat level: sensual/steamy. The sexual aspects of the romance are integral to the superhero elements. Heroine or Hero? While Beth has telepathic abilities, the emphasis is on the hero’s journey. Alec’s is a coming of age story. Superhero action sequences: While the major battles are few, the story offers many intermittent scenes of Alec and Beth using their powers in different situations of varying levels of danger. I would even venture to say that this story had suspense/thriller elements as well. Worldbuilding: From the beginning, we know that Alec and Beth have superpowers, and one of the characters makes reference to others like them; however the story has a narrow focus on Alec and Beth. That aspect will undoubtedly work for many readers; however, for others the focus might be too narrow. Unfortunately, I didn’t get a clear sense regarding the general relationship between people with powers and people without them. Those who have extraordinary abilities are born with them, but the how and the why of certain people developing powers eluded me. It seems that the general population is ignorant about Alec and others like him; however certain branches of the U.S. military and CIA know about him (and their power play for his talents form part of the political thread of the story). Therefore, I'm guessing that the series begins by tracking the early evolution of a possible superhero league of sorts. I’d like to touch upon one more topic related to superhero romances, and that is the issue of pop culture superhero references in the stories themselves. In PHOENIX RISING, Superman is mentioned by one of the characters (Beth, IIRC). Despite the contemporary setting and references to the television show 24, the film DIE HARD, and the film LARA CROFT: TOMB RAIDER, none of the characters acknowledged the existence of other fictional superheroes like X-MEN or Batman. At one point, the characters shop at Wal-Mart, a place where you can buy lots of superhero action figures! A scene of Alec perusing the toy shelves and contemplating the creation of his own action figure would have been interesting. Even though the world of HEROES WITHIN, MONSTERS WITHOUT has a contemporary feel, includes characters using the Internet, and touches upon the issues of media saturation and celebrity overexposure, I didn’t detect any overt fictional superhero references. I’m not saying a lack of fictional superhero references is a flaw, but I am wondering if it’s an issue that would benefit from being addressed in the course of a contemporary-set superhero romance story. Neither of the above stories struck me as taking place in a wildly alternate setting, so I found myself wondering if the superhero characters ever thought about their existence in relation to our own fictional superheroes. Is this kind of story an opportunity for social commentary, namely, the intersection of popular entertainment and our attitude toward modified human beings? For example, given the existence of fictional superheroes, how might having real superheroes in our midst affect us as a culture (including any psychological impact)? Would fictional superheroes prepare us in any way, shape or form for the real thing? 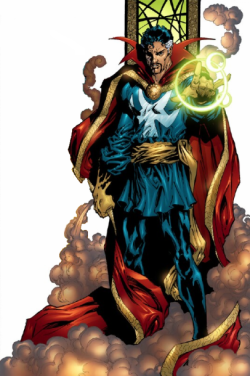 Or would the existence of real superheroes blow our minds no matter how many Superman or Dr. Strange graphic novels were published? Conversely, is it better not to mention fictional superheroes at all in superhero romances? Would that represent an intrusion of real life that might yank readers out of the story? There are probably pros and cons to doing either one. What do you think?